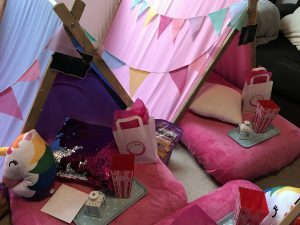 My 2 girls had a sleepover party at the weekend provided by SleepUnder. 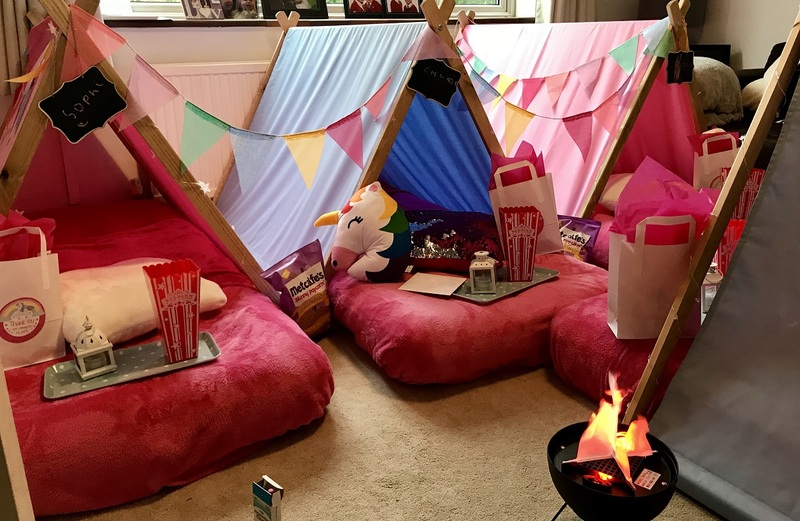 Prior to the party SleepUnder Parties arranged a convenient time to come and set up and asked if there was anything specific that my girls were into. As it was a joint party I needed to think of something they both liked and figured unicorns were a safe option. 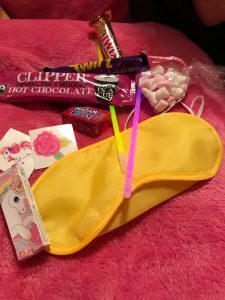 On the day of the party Jenna from SleepUnder Parties arrived with her supplies and I showed her to the room the sleepover was going to take place. Over the next hour Jenna converted our lounge into a magical, fairy light dreamland that any little girl would love. The attention to detail was incredible with the campfire, popcorn, lanterns and party bags filled with goodies for the night ahead. My girls were out while Jenna was setting up and were ecstatic when they arrived home to see where they would be sleeping that night, and it took all their might to keep it looking beautiful until their guests arrived later that day. When they did arrive the cheers and screams confirmed they were equally as excited. The whole night was perfect with the girls playing games, making pizzas and snuggling down to watch The Greatest Showman with the popcorn provided. I’m not sure how much sleep the girls got that night but that’s what sleepovers are about. 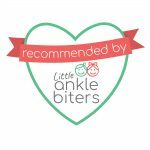 If you are looking to have a Sleepover party we can definitely recommend SleepUnder Parties.